Superbe noir et blanc avec un petit virage dans le sépia pour donner une athmosphère particulière. Très réussi !. @Kevin, Merci Kevin, many times I avoid sepia, but thought it might work here. 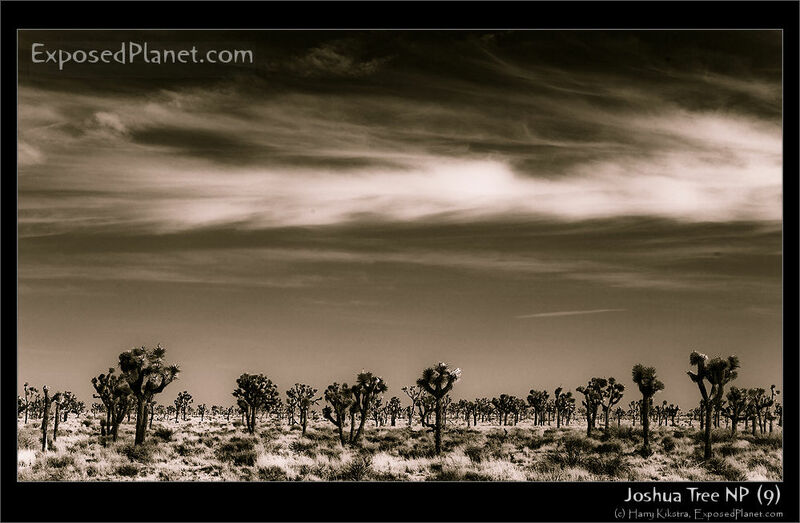 The story behind "Joshua Tree National Park in Black and White (3)"
The 3rd and last in this Black and White Joshua Tree series (see the first and second post in the series). If you liked them then later I will add some colour photos as well. For now, let’s move on to other places! Where shall we go next?